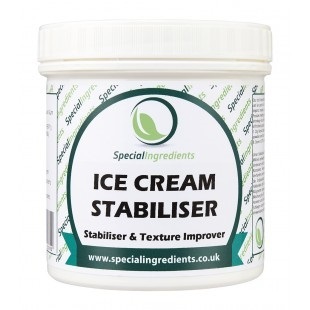 Large pot of our Ice Cream Stabiliser which has been developed to stabilise and improve ice cream and milk ice. It can be used in all kinds of preparations with a fat content between 4 - 14 %. 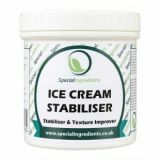 Dry blend stabiliser with sugar.